A Powerful Documentary That Touched Roger: "Not Yet Begun to Fight"
Earlier this year when Roger was at the Rehabilitation Institute of Chicago (RIC) he would sometimes sponsor a Movie Night for the other patients going through rehabilitation. Among the other patients were veterans who had lost limbs during the war, and who were being fitted with prosthetics, or re-learning basic everyday tasks of living after suffering traumatic brain injuries. Roger usually programmed comedies like the Marx Brothers "Duck Soup," or Buster Keaton movies. But one day a film called "Not Yet Begun to Fight" came to our attention. 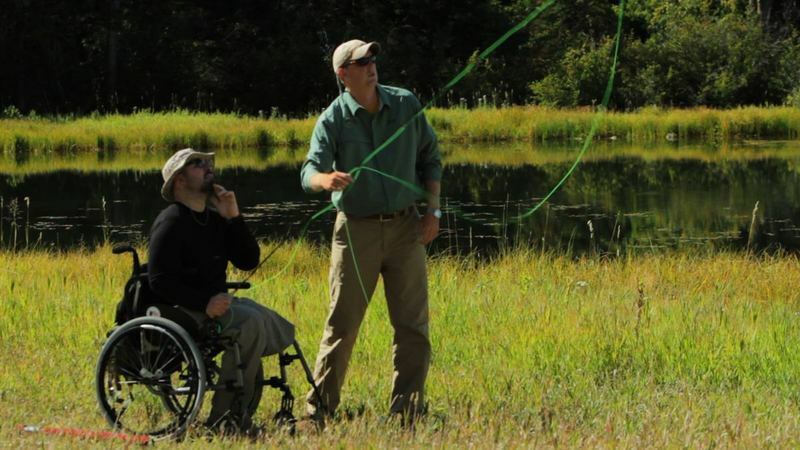 This film, co-directed by Sabrina Lee, documents the journeys taken by Marine Colonel Eric Hastings to bring injured Iraq and Afghanistan veterans to his ranch in Montana to facilitate healing through the singular act of fly-fishing. This is no easy task, and involves vets having to search deep in their psyches to find that quiet place free from stress brought about as a result of severe physical injuries. Roger was touched deeply by this film and it was one of only 12 features and two documentaries he hand-picked for his film festival in conjunction with the University of Illinois this past April at the Virginia Theater in Urbana-Champaign. We ended Ebertfest with "Not Yet Begun To Fight" which received a standing ovation in the full house screening. Roger and I had discussed plans to share the film with other patients at RIC. Roger wondered whether the film would hit too close to home for some of the patients. Whether it would be safer to just continue with his comedies. Ultimately he decided that the film's message was one of hope and triumph over adversity. He said he found the film uplifting and he hoped that others would too. Sadly, before he was able to present the film, he passed away. Sabrina Lee and Executive Producer Steve Platcow wanted to make Roger's wish a reality. They worked with Peggy Kirk at RIC and organized a special Movie Night dedicated to Roger. They invited patients to watch the film and discuss it. Platcow said the staff decorated the screening space with red carpet, stars suspended from the ceiling, and a popcorn machine to give it a real movie theater feel. The evening was well attended and I am told it inspired a lively Q&A afterwards with patients and staff. Lee commented, "Sharing the film with the patients at the RIC was a remarkable gift, and a reminder of what the film is really about. While the story also confronts the impact of war, more than anything it is about the journey to recovery. To be sure, that theme must have resonated with Roger." The Quad in New York City from October 25th through 31st, 2013 (4 p.m. and 6:30 p.m.). The Music Hall in Beverly Hills from November 1st through 7th, 2013 (times TBD). It will air on PBS nationwide on and around Veterans Day, November 11, 2013. Marine Colonel Eric Hastings, a quiet man of wide smile and thin hair, stands knee-deep in a whispering river, several decades and thousands of miles removed from the brutal chaos of the Vietnam war. As head of the group “Warriors and Quiet Waters,” he now brings damaged young veterans of more recent conflicts to his Montana ranch in hopes that the tranquility of fly-fishing will help relieve their stress disorders. In this touching documentary, the wounds of the past are soothed by flowing waters. These are men of broken body. Until the camera moves, we would not know, because they seem frank and reflective, with no indication of damage. But, almost every participant is missing an eye, or leg, or more. Then, as they speak, we notice some awkwardness in their conversation. Some remember the blasts that shattered them. Others remember their hospital beds. One paraplegic warrior, in a deadpan tone, narrates a list of his injuries, seen in jump-cuts. A Navy Seal with steel eyes speaks through his iPad's computer voice, typing long sentences with one finger. When he plays his message, he remains in a posture of meditation for long moments after his text runs out. As he silently struggles through frustrating rounds of rehabilitation, learning to walk with a prosthetic leg, we wonder how many stories his frozen expression hides. But he finds light in the support of his wife of seven months. There are, however, others whose afflictions are hidden from us. A reserved man in sunglasses and collared shirt looks like a forty-year-old employee of the ranch. But, he is only 28, former bomb technician who lived on adrenaline. When his trainer apologizes for touching him, we anticipate some serious revelations about his deep wounds. He compares his six-year Post-Traumatic Stress Disorder to a leech that slowly crept up on him until it started biting. Now he keeps his distance from people, trying not to recall the vile, disgusting violence he associates with all humanity. At the ranch, he accepts that there people in the world who do care for veterans like himself. Soon, he is able to accept their hugs. These are men of broken soul. The hope of Quiet Waters is that the patient, careful fly-fishing repetitions will teach the vets new, healthy behaviors, dissolving away harmful old habits. But Colonel Hastings does not let them hang on to their conquests: When a soldier catches a fish, he can celebrate, but he has to return the creature to its waters. The point is, these fighters know bloodshed too well; now Hastings teaches them to value life itself. The quiet Montana sky, lush forests, and distant mountains also help. Nevertheless, those grins from catching fish are captivating and priceless. Movies often tell us about the camaraderie of soldiers. Here, despite their wounds, some of these soldiers long to return to service. 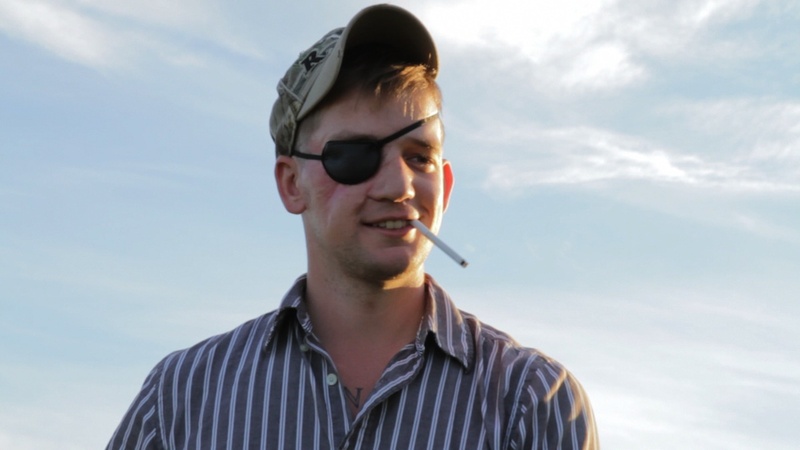 One wounded warrior in eye-patch believes he is perfectly designed for deployment. He longs to return to Afghanistan. Another soldier feels himself responsible for his unit members' deaths. Hastings explains that a person will not ever get past those feelings, and must learn to live despite them. And go fly-fishing. Perhaps fly-fishing gained most prominence in Robert Redford's “A River Runs Through It.” While “Not Yet Begun to Fight” might lack the beautiful cinematography of that film, it still manages to capture the serene terrain above and below water. In Redford's film, the main character felt constrained by the forced precision of the process. Here, though, the goal is freedom from a deep prison. Ebertfest Film Passes Go On Sale Today!